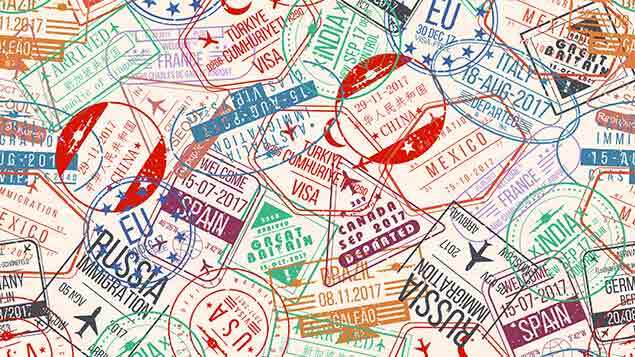 Less than a third of companies are aware of the sanctions for failing to secure right-to-work documentation for overseas workers – and up to 93% could be at risk of having their sponsor licence revoked – according to Migrate UK. The immigration law firm surveyed 1,000 businesses that currently hold Tier 2 or Tier 5 licences to sponsor overseas workers. It found that only 7% advertise vacancies correctly, and only a third knew what documents should be kept on file for sponsored overseas workers. Ninety-five percent were not reporting any changes to these employees’ circumstances to the Home Office. With around 18 months until the UK formally leaves the EU and employers may seek to recruit talent outside of Europe, many businesses are not carrying out sufficient internal compliance audits as sponsors of overseas workers, said Migrate UK. Under the Immigration Act 2016, the Government introduced harsher punishments for those who fail to keep up with the Act’s requirements, including “on-the-spot” closure for companies that do not meet the provisions of the regulations and even prison sentences for directors. Employers that employ non-EU workers are obliged to keep records such as attendance and absence, evidence of a resident labour market test (where they must prove they would find it difficult to find a UK worker for the same role), professional accreditations and pay slips. And while just over 38% of businesses in the survey required more training on the paperwork needed for non-British workers or those from outside the European Economic Area, half of businesses were also unsure about the documentation required for UK workers, such as copies of birth certificates and passports. Jonathan Beech, Migrate UK’s managing director, said that too many businesses were “sleepwalking towards the challenges ahead”. He added: “Employers wishing to retain both EU and non-EEA workers need to get fully prepared ahead of Brexit. HR files should be kept for all workers, endorsed and with passport copies.